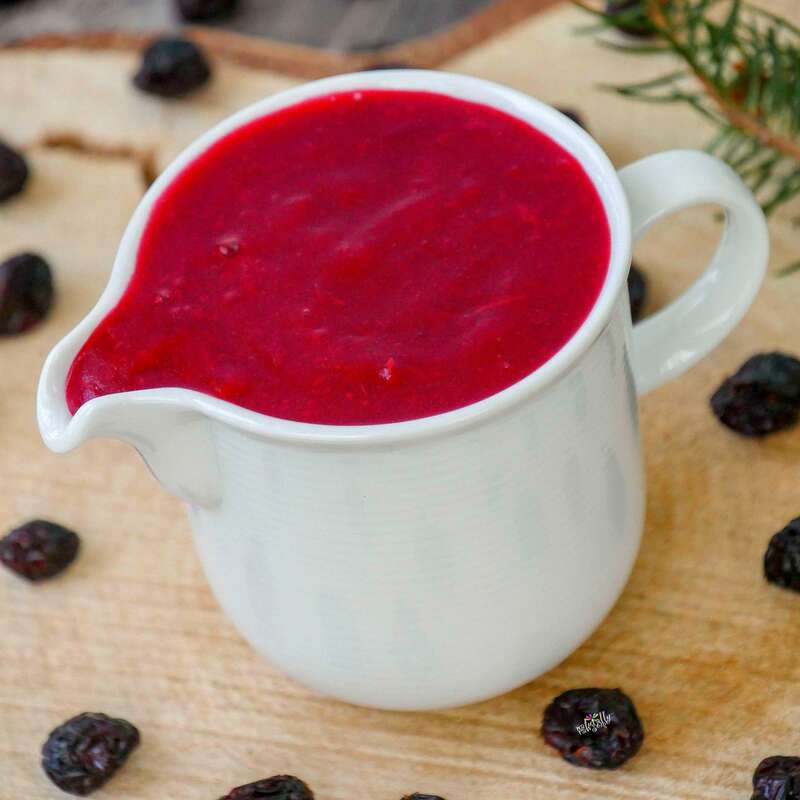 Making your own cranberry sauce is super simple and you can even make it raw if you skip the simmering and blend up the berries with apple cider juice, a little bit of sweetener and cinnamon. I love using this sauce as a dipping sauce for celery sticks or as a sauce for zucchini noodles. Add all ingredients into a pot and let it simmer for 5-10 minutes. Use a lid as the cranberries will pop up . Pour the berries into the blender and blend until smooth. Serve as a dipping sauce, use as salad dressing or as a sauce for zoodles/coodles.